Originally published at The Conversation. Read the original article. By Lisa Caripis and Anne Kallies, University of Melbourne. It’s been just over one year since the Baillieu government introduced the second part of its far-reaching planning law reforms to restrict the development of wind farms in Victoria. The results are an example of how state planning law can be a barrier to achieving national renewable energy goals. With a majority in both houses of Parliament, the Coalition was able to amend Victoria’s planning framework unhindered to deliver on its 2010 election promise to “restore fairness and certainty to the planning process for wind farms”. In pursuit of this aim, the planning amendments most notably impose a blanket ban on wind farms in many parts of the state. They effectively give the owners of any dwelling within 2km of a proposed wind farm the power to decide whether or not the development should proceed. 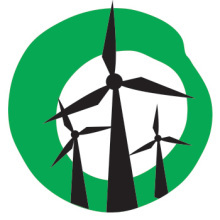 A July 2012 amendment clarifies that these changes are targeted at wind farms generating electricity for supply to the grid, not for on-site use. Economically, reports indicate that the impacts of these changes in terms of lost or stalled wind farm investment and employment have been considerable, in a state that has some of Australia’s best wind resources. While promising to “give the community a greater voice” through these changes, the amendments instead render local, pro-wind initiatives, such as community wind farm projects impossible in many locations. Not only do the planning law changes have the potential to entrench existing fossil fuel power generation in Victoria, they undermine the Victorian Government’s commitment to the federal Renewable Energy Target (RET). State and territory planning regulations may affect the level of renewable energy generation, its mix, and the geographic distribution of renewable power stations. This can cause problems when state laws are out of step with national targets, as the electricity market rule-maker pointed out last year. It is of some concern that New South Wales draft guidelines also adopt the 2km consent rule and impose a noise assessment regime stricter than in any other jurisdiction in Australia, the United States or Europe. The Victorian example illustrates the need to integrate renewable energy policies into state planning frameworks for Australia to move towards a low carbon energy future. Germany is renowned for successfully transitioning away from fossil fuels and integrating more solar and wind energy powered generators into its grid. Like Australia, Germany has a federal system of government and it too has a renewable energy target (35% by 2020). In contrast to Australia, community-level planning laws in Germany must give effect to national renewable energy policy. German federal planning law imposes an express obligation on local planners to recognise national renewable targets. In Germany, all regulatory frameworks relevant to renewable energy, be they planning laws or laws regulating the electricity market, have been adapted to acknowledge national renewable energy targets. This, and not just the very generous feed-in tariff scheme, has been a major reason for why Germany has been so successful at transforming its electricity sector. While the division of law-making powers between the states and federal government in Australia is different to that in Germany and the current Victorian government seems set to limit wind farm development in the state, there are ways Victorian state planning law could support wind farm development and thus support national energy goals. This would be consistent with the notion of cooperative federalism which underpins many areas of law and policy where there is a shared role for the federal and state and territory governments. Enshrining support of the Renewable Energy Target into the legally binding state planning policy could be a good start. Indeed, state planning policy before the 2011 amendments had an overarching strategic vision of facilitating the development of wind farms, and was influential in many planning permit decisions such as the approval of Hepburn Wind, near Daylesford. Specific development controls could help promote and protect wind farm development in suitable locations. Planning controls such as statutory safeguard plans can be used to protect wind resources from interference by another type of development, such as timber plantations. This has been suggested by the planning panel for the Portland Windfarm. Such controls can also be used to protect existing or proposed wind farms from encroachment by conflicting development or land uses. Changing zoning rules and conditions to preference renewable energy in particular areas is another way to give effect to the public interest in installing more wind power. A stronger requirement for decision-makers to consider the principle of inter-generational equity (the interests of future generations) would help make sure the broader and longer term interests in wind farm projects are taken into account. Planning laws and policies are meant to guide decision making on development and land use in a way that is forward thinking and strategic. They are meant to balance and integrate local, regional and state-wide community priorities and vision. The current planning framework limits the consideration of interests to a narrow set of local concerns and in so doing forgoes the opportunity to align state planning law with national renewable energy goals. These issues are discussed in more depth in Lisa Caripis’ and Anne Kallies’ article, Planning away, in the Environmental and Planning Law Journal. Note that Lisa Caripis’ and Anne Kallies’ article is password protected (paywalled?) so don’t bother clicking unless you have an account.